Are you trying to move on with your life but your having trouble getting your spouse to move out? 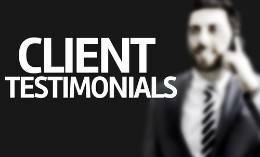 Read this blog and then call our attorneys for strong guidance. I owned my mobile home prior to my marriage. I have been married for twelve years and asked my spouse to leave. He is no longer paying any bills and won’t leave. You may need to file for divorce and proceed to judgment to obtain a directive that he leave. It is possible that a court would order him out sooner, but that is a fact specific inquiry which requires that the court determine that either he does reside elsewhere or there is sufficient strife and/or domestic violence to warrant an order granting you exclusive possession of the home. You should consult with an attorney to explore these issues further and to determine the best option for you. This legal question was provided by Avvo and answered by Jean Mahserjian, an experienced Saratoga Divorce Lawyer. This does not consent an attorney client relationship. 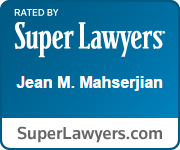 To speak with the lawyers at Jean M. Mahserjian, Esq., P.C., call us at the number above. We will be happy to answer your questions and schedule an initial appointment at our Clifton Park office. You can also schedule an appointment by contacting us online.